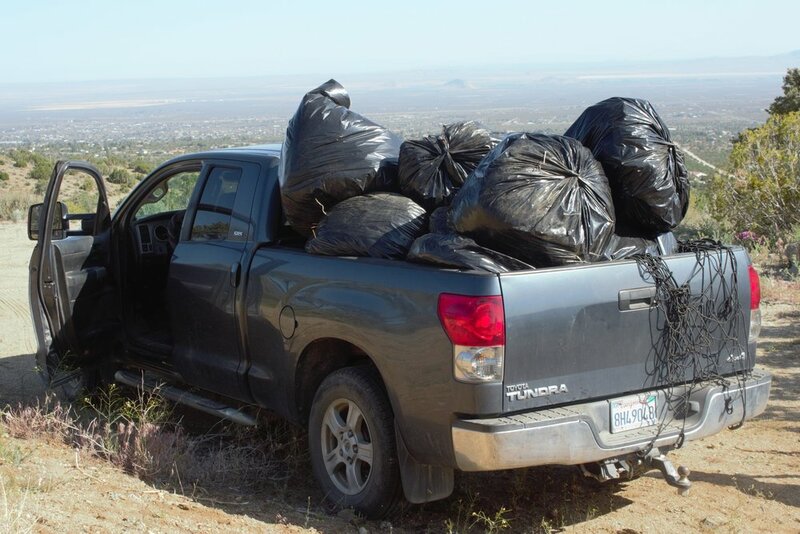 This year, Transition Habitat volunteers fought valiantly by our side in the war against invasive mustard plants. Now as summer winds down, all that’s left are the brown stems of the plants we missed. If you suffer with mustard and other invasive weeds, maybe we can give you some tips to get prepared for next season's battle. 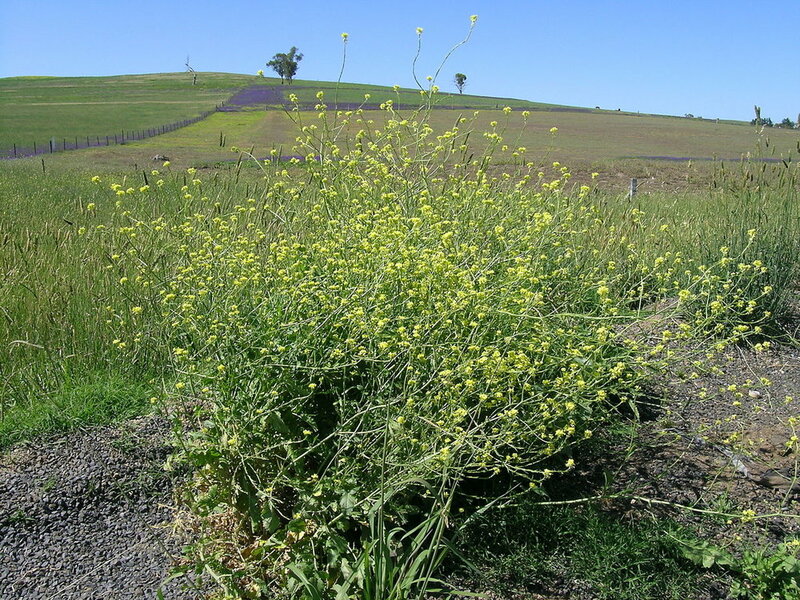 Just hearing the word “mustard” conjures up images of invasive plants taking over yards, while others may think of the yellow, mustard-covered hillsides along So Cal freeways. If it’s near lunchtime, you may think Ball Park hot dogs with mustard and relish, but I digress. Mustard, in any form is here to stay and it has changed the California landscape in such a way, that many people assume it to be a native plant. Our oak woodlands, with their incredible diversity of spring flowering bulbs, annuals, shrubs and cacti are one of the hardest hit plant communities. Between the mustard, invasive grass and non-native thistle, it’s difficult to find an intact and healthy oak woodland these days. The southern California landscape has changed dramatically in my lifetime, and there is no going back. 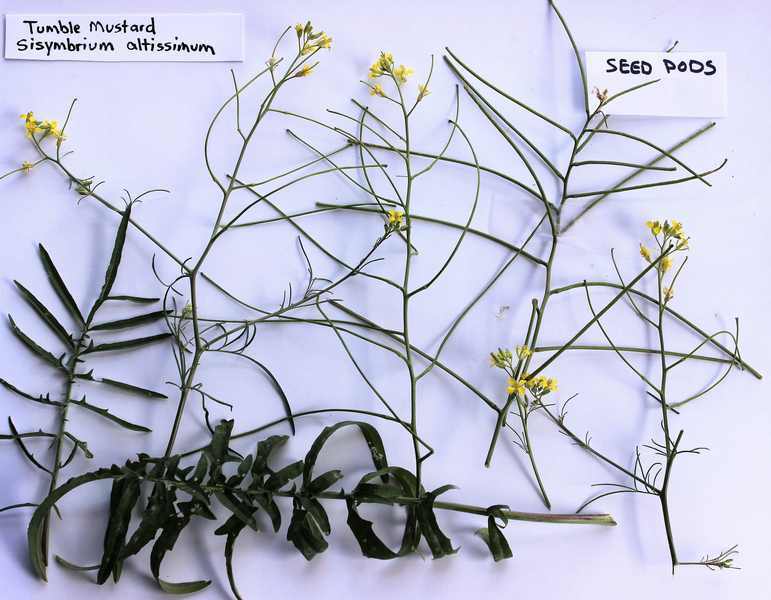 Each variety of mustard has its own growing cycle and flowering period with some species able to colonize year-round. There’s London rocket, herb Sophia, short-pod mustard, black mustard, oriental mustard and more. The deal is that they are quick to sprout after winter rains and deprive native plants of the soil moisture needed to germinate. Once the small basal leaves are triggered by warm weather, they can become the size of dinner plates in a very short time, covering up and out-competing the native seedlings. They quickly put up stems that support the infrastructure for hundreds of flowers, each one of which will produce 20 or more seeds at maturity. If you turn your back for a couple weeks, you will return to find that the seemingly delicate looking knee-high plants have become robust sub-shrubs with seeds ripening on the lower stems and not much else growing beneath them. That’s when you know it has reached critical mass. First and foremost, do not disturb the land. Don’t drag, scrape, rip or otherwise manipulate the soil surface. Once you get into a routine of scraping weeds or dragging, you are making those little mustard seeds smile in happy delight, for they absolutely love disturbed soil. You’ve just created the perfect breeding ground for next year’s bountiful crop of mustard, (cheat grass, red brome, horehound, and tumbleweeds). Second, you can and should remove them at any stage prior to setting seed. They can be gently pried from the ground with the edge of a hula hoe when they first emerge. If you keep at it before they get much taller than a foot, they come out easily, especially after a rain. Some species are harder to pull than others. A hand held weed whacker can knock them down, but if done too early, the plants will put up more flowering stalks, too late and you risk shattering the seed pods and redistributing them. An established seed bank can take several years to eradicate. Take heart though, because if you plan ahead, you can go in during the fall and winter months and start adding locally collected native seeds like buckwheat, rabbitbrush, goldenbush and brittlebush. These plants produce prolific seeds and with help from you, can quickly colonize an area. You might even have success transplanting small native shrubs from other areas in your yard or work area.